"There's no melodrama in Heaven. That's why no one ever goes there." Stéphane Moineaux, owner of the Théâtre Tragicomique. 1899. The mood of fin-de-siècle Paris is one of the old order crumbling away, the ancient superstitions being replaced by scientific discoveries. The director of the Théâtre Tragicomique is intent on staging an updated version of Faust to usher in the new century -- and stave off bankruptcy. But some supernatural agency is determined to rewrite the play, striking dead every actor playing the part of Faust. Is it a manifestation of the Devil, as the superstitious believe, a bizarre side-effect of the universe making ways for new laws, as the positivists proclaim, or merely the magic of the theater? Brian M. Stableford has been a professional writer since 1965. He has published more than 60 science fiction and fantasy novels, as well as several authoritative non-fiction books. He is also translating the works of Paul Féval and other French writers of the fantastique for Black Coat Press which also published his most two recent fantasy novels: The Wayward Muse and The Stones of Camelot. The New Faust at the Tragicomique (2007). Stableford's The New Faust provides a complex and textured portrayal of the end of the eighteenth century, with its promise of science and rationalism -- Pasteur, positivism, gaslight -- and also of its own forms of obsession and irrationality -- rigid class systems, laudanum, and the Grand Guignol. More than that, The New Faust -- as subtly as one of Moineaux's gentle pushes -- contextualizes these contradictions within the tensions of our own century, illustrating how stories take on lives of their own, no matter what the medium. It is intriguing to consider that by the time the story is set in, the Lumiere brothers had already demonstrated their invention, the Cinimatographe, and Georges Melies, considered to be The first film producer to deal in the fantastic and the horrific, was already experimenting with film. Melies would release his own Faust story, "The Damnation of Faust / La damnation de Faust," in 1903. 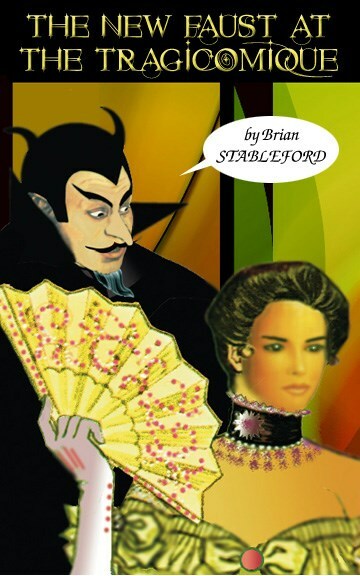 From our current standpoint in the twenty-first century, Stableford's story, with its concerns regarding the genre of melodrama and the Grand Guignol, seems as relevant a commentary on the subject of twenty-first century screen horror as it is on the subject of eighteenth century stage horror.